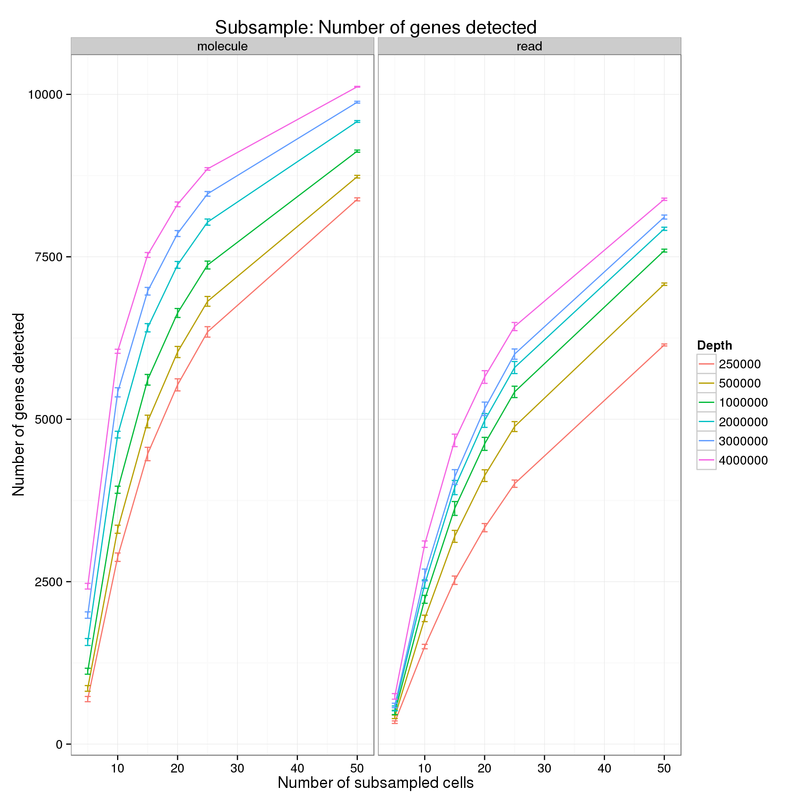 CMD="detect-genes.R $CELLS $SEED molecule-counts-$NUM.txt --min_count=1 --min_cells=5 --good_cells=/mnt/lustre/home/jdblischak/singleCellSeq/data/quality-single-cells-lcl.txt"
CMD="detect-genes.R $CELLS $SEED read-counts-$NUM.txt --min_count=10 --min_cells=5 --good_cells=/mnt/lustre/home/jdblischak/singleCellSeq/data/quality-single-cells-lcl.txt"
Convert to one file using Python. 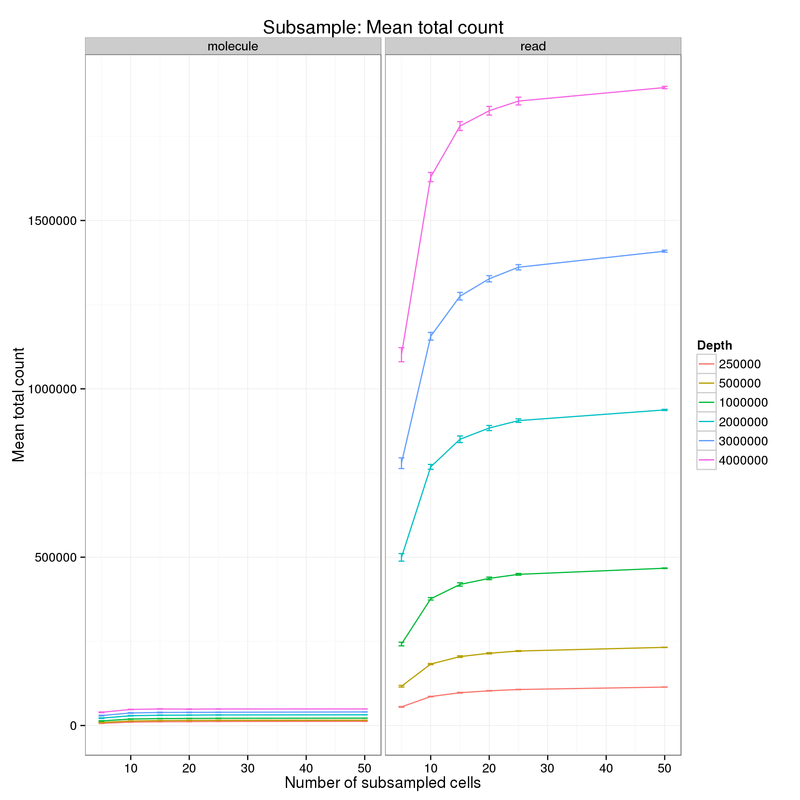 Run from $ssd/lcl/multiplexed. 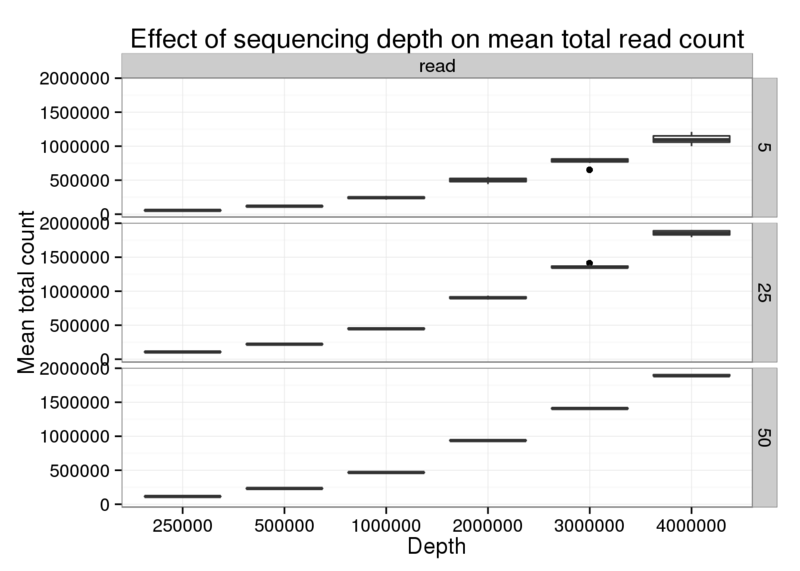 For the analysis of read counts, a gene was detected if it had greater than 10 reads in at least 5 cells. 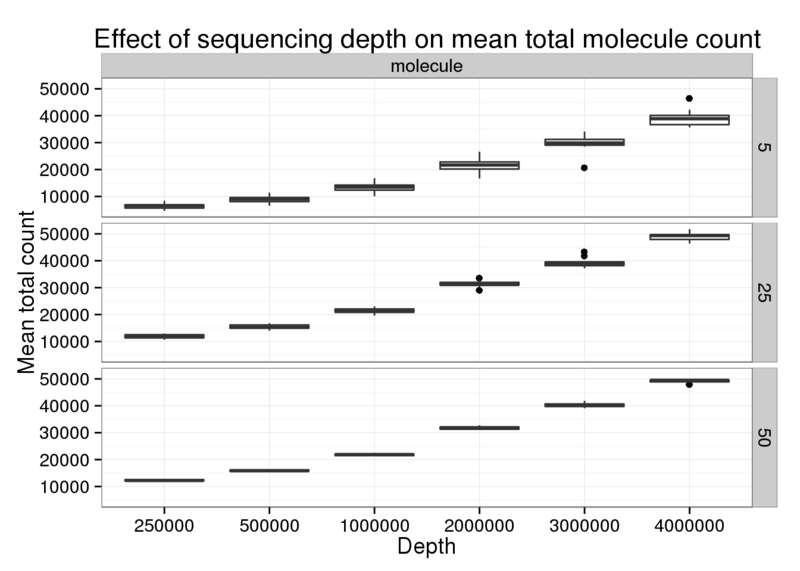 For the analysis of molecule counts, a gene was detected if it had greater than 1 molecule in at least 5 cells. 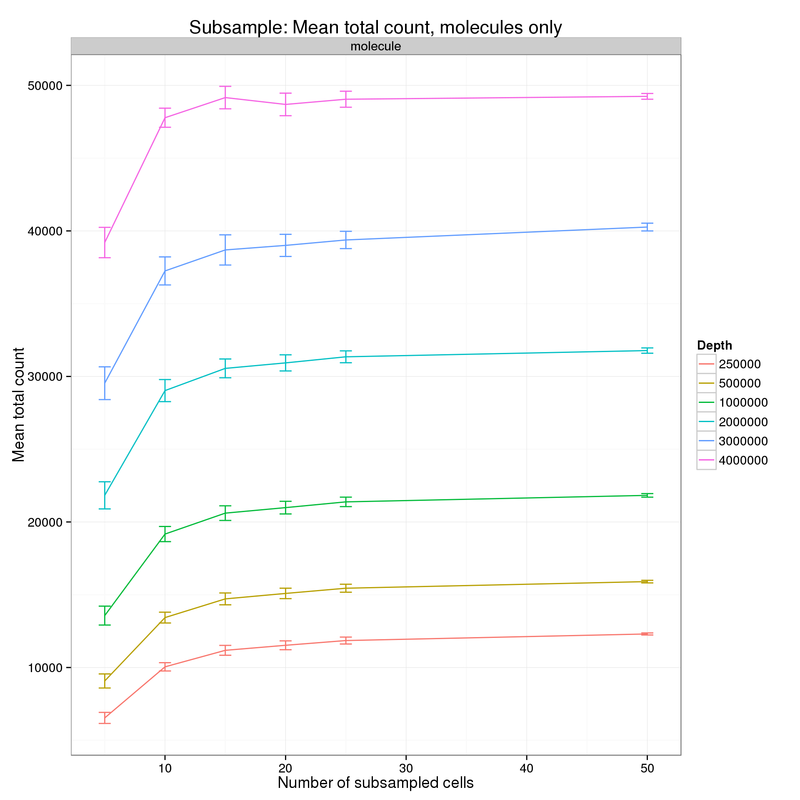 Results for a minimum count of 10 reads or 1 molecule and a minumum number of cells of 5.